SCP: Secure, Contain, and Protect. Anyway, SCP is a series of horror games where you go through random places (corriders/stairwells/security area) to escape and avoid being killed. It's a hella creepy game. The one in the link is SCP 087 B where you go down stairs... in the dark and stuff. When I played this one, I saw something that scared me so bad, I started walking backwards... then I died. Re: SCP: Secure, Contain, and Protect. This is not scary for shiet. Younglink96 wrote: This is not scary for shiet. YOU SAY THAT NOW... playing the game is scarier. For a free game its fun and yea it is scary I'll be playing again sometime when its late at night haha. 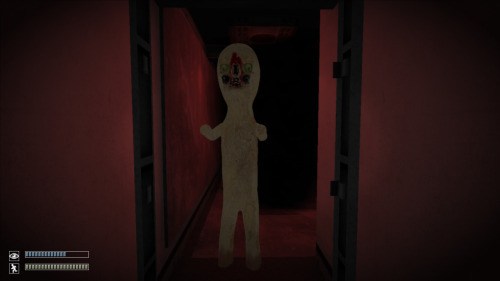 These kind of games Scp/Amnesia a lot of the fear I find is in the fact that you CAN'T protect yourself you gotta runnnnn for your life or don't look away to be saved QQ. you mean the white domo?